Start enjoying the healthy benefits of coffee enemas today! 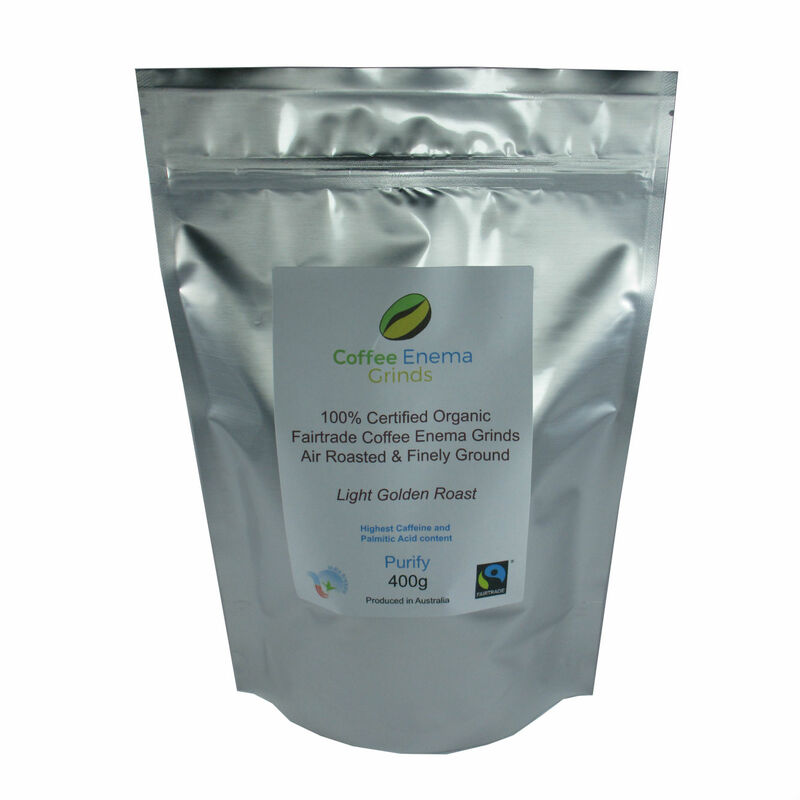 Our enema coffee solutions are specifically brewed for enema use, using only high quality Gold Blend Air Roasted Organic Coffee. 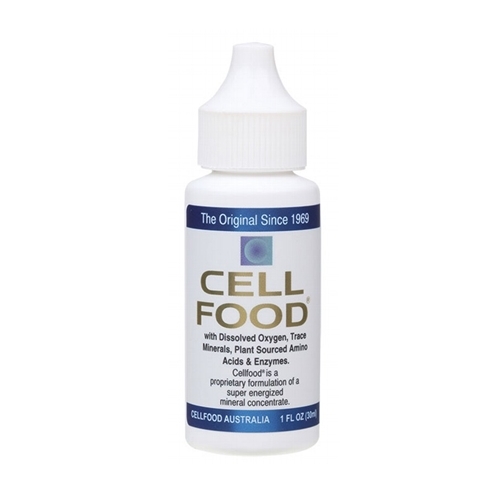 It contains 7 pouches of 250ml coffee enema solution which can be used instantly to save your time and brewing the solution yourself. 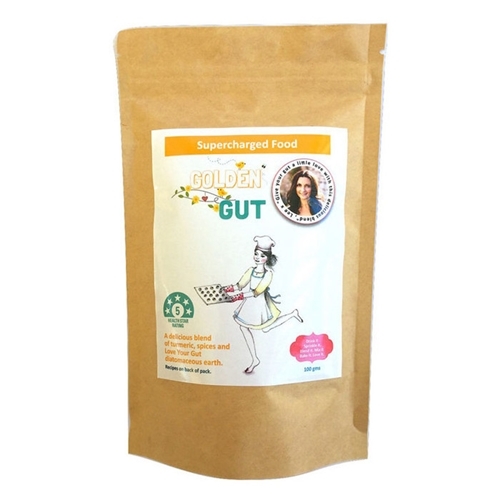 Get Rid of Harmful Toxins and Re-energize Your Body the Natural Way! 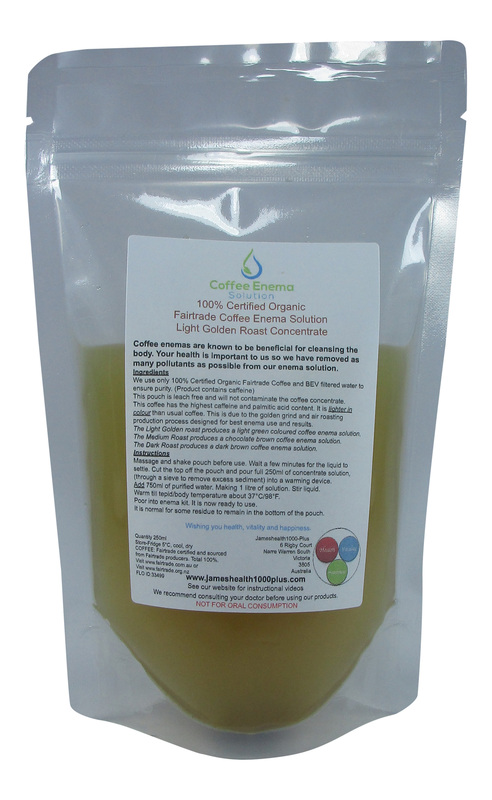 This Gold Blend Air Roasted Organic Coffee Enema Solution has a high capacity of caffeine and palmitic acid. The light color of the coffee is a result of the manufacturing process which is made to create high quality coffee particularly for enemas. The coffee used is 100% Organic Air Roasted Coffee and the solution has 99.9% pure BEV filtered water. 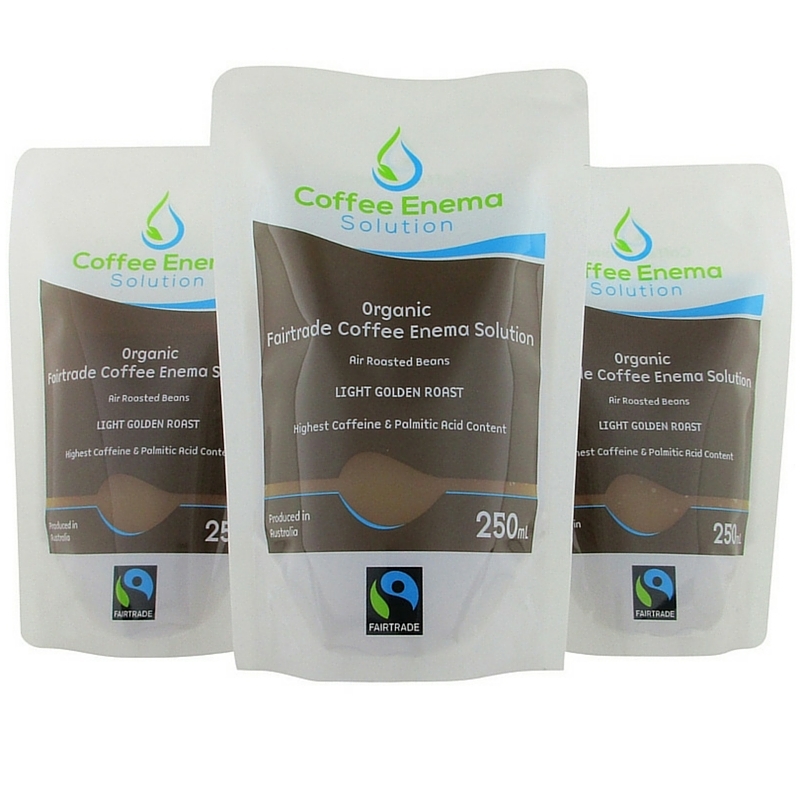 Each pouch has 250ml of coffee enema concentrated solution. The leach-free pouches are created to eliminate toxic waste and prevent contamination of the coffee mix. Orders placed over a month are produced and dispatched monthly to retain freshness. 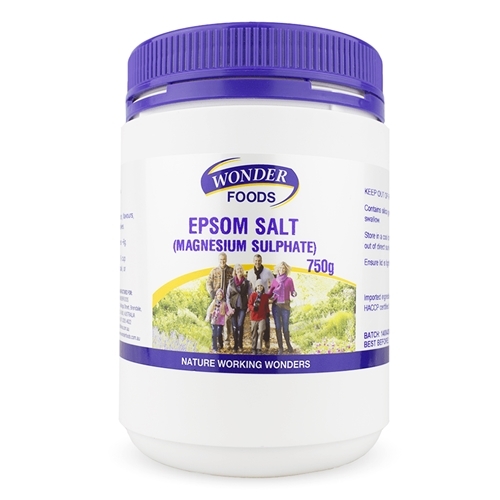 Before starting the process, just add 750ml of water to dilute the solution. It can last up to 2 months. Packaged in Australia. 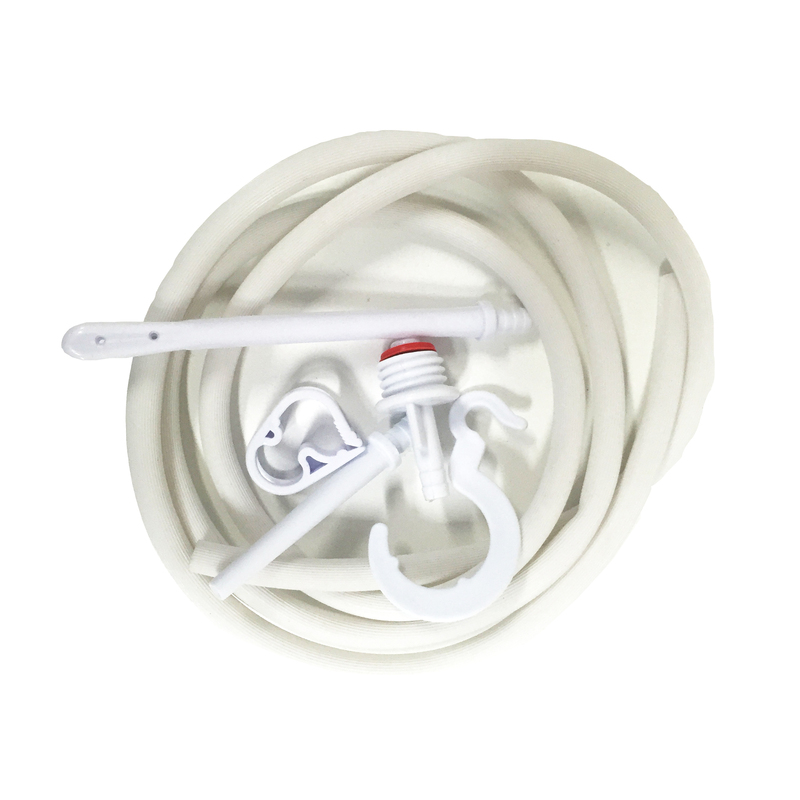 For customers who follow the Gerson Therapy need more than one enema daily and are advised to order additional solutions. So easy to use and I love how natural it is. It felt amazing, and the results were more than I expected, really purifying. This stuff works great! Leaving you feeling energised.